Hola Amigas! I guess you can say Summer is offically OVER. Solimar starts 2nd grade on Wednesday. We are SUPER HAPPY with the teacher she will have. Wishing my baby girl a GREAT school year. 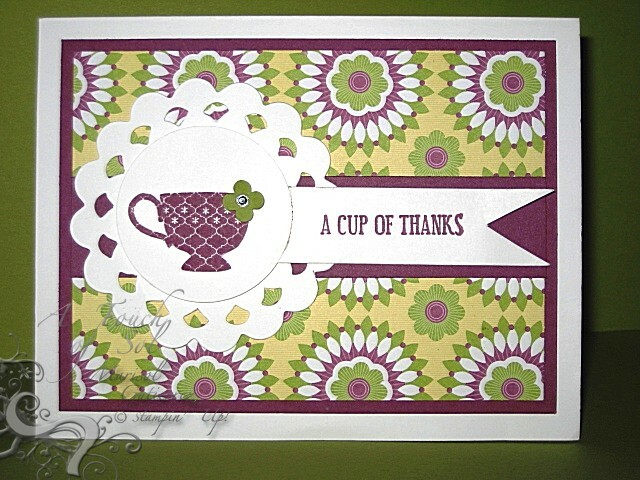 The card I am sharing with you today is the Thank You cards I made for Anya's Birthday. Remeber the Tea Party she had. I kept the theme and color scheme of the purse favors I made for her. What do you think? 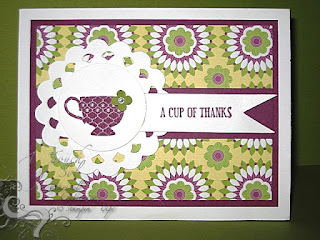 I really like this Designer Series Paper? Which DSP is your favorite?